VERDISSIMO was born in Paris, France in 1988. Originally as a sole distributor in France preserved plants were imported from Italy and several years later it was made a new start as enterprise handles preserved botanical products. The office was being relocated to verdant The Provence district and preserved products were being produced in a brand-new factory. In 1996, the production of the roses has been started in Ecuador and tool up production on a full scale. VERDISSIMO has a bleaching technology which enables to change whatever the color of flower could be and offers fresh preserved flowers using good quality of real flowers in Ecuador. And also VERDISSIMO make flowers and leaves in Europe, Ecuador and Africa preserved in the local factory keeping real flowers and leaves fresh. Rose is well known as bright coloration from VERDISSIMO’s original bleaching technology. Product of Green Leaves and its kind have been further along in development and select fine choice of raw materials from Italy, France and from around the world. 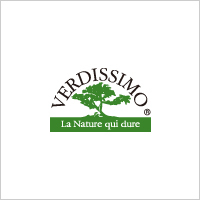 MONO International Inc. became a sole agent in Japan and newly reborn VERDISSIMO was newly reborn since January 2010. Manufacturing site has been moved to center of Quito, Capitol of Ecuador in 2004 to fulfill the equipments and enhance the quality and hitherto existing. 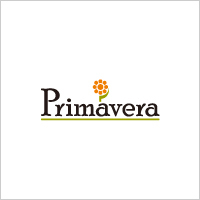 Primavera is an original brand of which MONO International Inc. and Ecuadorian manufacturer made a joint-development. It is made of are best-in-class Ecuadorian roses and keep it excellent elasticity and moisture content. It is characterized by deep sick tone and produced a good color. We are environmentally conscious and aiming to make a non-chlorinated colors. The name is taken from “Primavera” painted by Botticelli Florentine artist. This picture is same as a master piece of “The Birth of Venus. Primavera, which means spring in latine, gives you an image of grace flower garden surrounded by carpet of flowers once you open the door. The impression of being natural and feminine fitting for its brand image would be the greatest attractions. Vermont is venerable brand of preserved flowers. Vermont filed a patent of “The long-life cut flowers manufacturing method “ in 1987 and received and authorization of global patent in 1991. Vermont moved to major rose producing region in high place in Kenya in 1996 and tool up production on a great scale. Vermont has lots of diehard fan because of the fact that unique and artistic line up of products as well as rich items of green products. 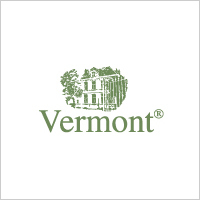 Vermont has been kept improving production method via ANVAR(French Government Investment Institution) and kept bringing the best in class products to the market. Vermont took ISO 9001 to obtain customer satisfaction and quality in 2007 and took ISO14001 to consider an environmental sustainability and contribute to the society in 2008. Vermont kept announcing avant-garde flower arrangements by various designers like Christian Tortu and Jos Van Dijck at Maison & Object in Paris. Florever is being produced in Columbia, flower country of the world, and an airy-fairy color and look of live fresh flowers made a great attractions and became popular. Since there is ample amount of supply is being secured, it is possible to pick up best-in-class and live fresh flowers all year long, manufacture and provide to the customers. The factory in Columbia is surrounded by several farms which could provide most splendid quality flowers all year long. And as a result the preserved flowers could be kept with transparent color and close to look and feel of real flowers. The workflow of fresh-look flowers is excluding elements of probable environmental destruction and considering impact for human body and environment. 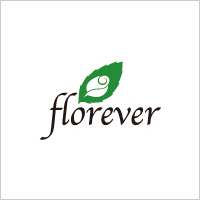 Florever is kept supporting ideas from the florist for quality and safety. The history of Ohchi Nursery Ltd has been started with development of bleaching technology for plants in 1960. Ohchi Nursery Ltd ,procure the raw flower materials and import from The Netherland, USA, Western Countries to Asian countries and around the world, is only preserved flowers manufacturer in Japan with unique process technology. 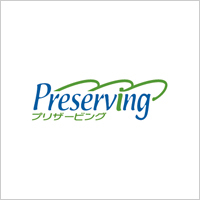 Various types of product line-ups adapting flexible compliance to Japanese four seasons, Japanese favorite kind color variation, spray-type of easy of use for small modification which expand the variety of design are all fascinating and mesmerizing. 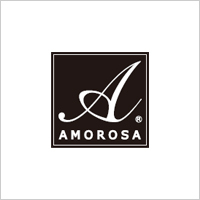 The greatest characteristic of AMOROSA is Velvet-like Glossy and depth in texture, large-flowered with beautifully cirrus, lively and durable. The secret recipe of its beauty and robustness lies in production system for AMOROSA, which draw the true nature of beauty in roses. AMOROSA in Ecuador has a rose garden and preserved flower-processing plant on the same site and operates an integrated system of production from raw material to finish product. This means AMOROSA tends to rich roses blooming in the trees on the farm and process them for preserved flowers very quickly. Sunlit roses is so powerful that true beauty of roses are being kept for a long time despite process of preserved flowers. Very rare kind named “ KABUKI” is only produced in the farm of AMOROSA and it is robust kinds with thick petal so that it features lively and tear-proof.